Mainz - Despite admitting to suffering from nerves before Bayer 04 Leverkusen's encounter away to 1. FSV Mainz 05 on Saturday, Australian international 's debut in the Werkself's starting line-up was nothing short of spectacular. The 24-year-old made the most of head coach Sami Hyypiä’s decision to rest Heung-Min Son, bagging a first-half brace with two supremely composed finishes in a surprisingly comfortable 4-1 victory. After being told on Monday by Hyypiä that he’d feature against Mainz, Kruse had a full four days to digest the news and on Saturday grabbed the opportunity with both hands. “It couldn’t have gone any better,” Leverkusen's No23 admitted afterwards, particularly as it helped the side recover a measure of confidence after that midweek loss in Manchester. 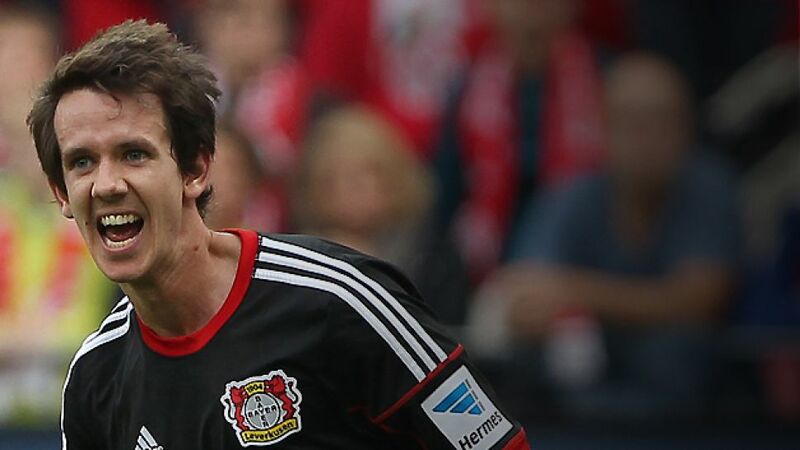 With the club aiming to break into the Bundesliga’s top two and eager to prove their quality in Europe’s premier club competition, Leverkusen's packed schedule will give Kruse every opportunity to do just that. First up, though, is a trip to Arminia Bielefeld in the DFB Cup and, following five league wins from a possible six, Kruse won't be the only one feeling good on the trip north.